Flexographic cantilevered and geared print stations from 4″ to 80″. Our hybrid four color stack features a common impression for the top two stations and driven impressions for the lower 2 stations. The frames are available with or without the CI and in multiple configurations. Touch screen controls include a print register, arm position, repeat, dryer settings, job memory, production charts, service and line functions from related equipment. The press is not limited to a specific gearing increment. An example is ¼ cp, 10 dp or 5mm cp. The repeat length can be entered in inches or metric based on the artwork. Each station can run a different repeat length at the same time. Optional servo sidelay positioning is touch screen controlled with simple press-to-move buttons or direct entry of the distance to move. Plate to anilox and plate to impression adjustment are touch screen controlled with simple press-to-move buttons or direct entry of the distance to move. The ink cavities are a round-backed design to allow the ink to roll in the cavity. This motion reduces turbulence and improves flow through the cavity. Stainless steel ink pans with drains are included with each station. Safety cover structure includes warm white LED lighting over print cylinders. The press structure is based on a 50mm ground steel plate. Print station arms are powder coated black and resist ink and solvents. The structure and frames are white unless otherwise specified. Six servo motors are standard in each print station. Two motors drive the plate and anilox cylinders. Two drive the plate to impression automation. 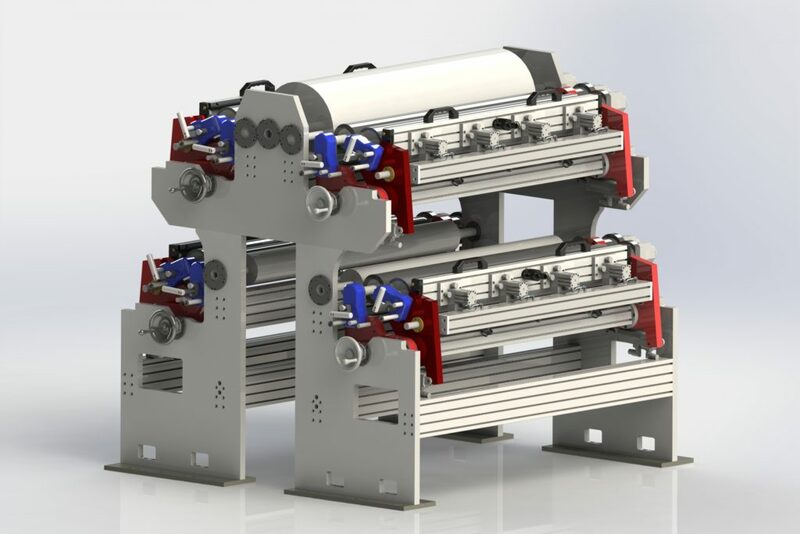 Two drive the anilox to plate automation. We produce two different geared flexo stations. 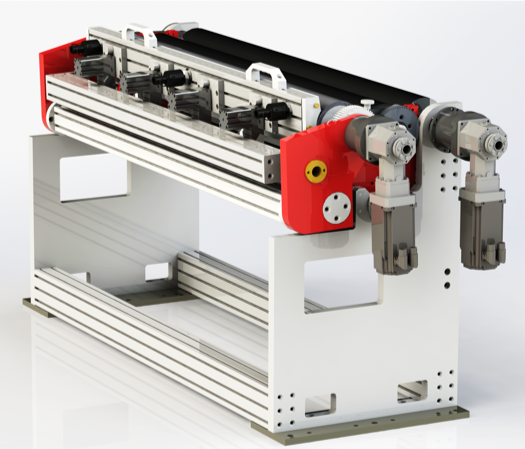 The GM-Series shares the same frame as our cantilevered flexo machines, and the Flex-R is a legacy replacement station for the old RGE printing equipment. 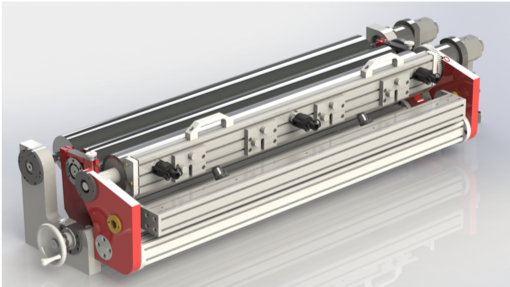 The GM station is also available with the [R] option that will allow it to accept the RGE plate cylinder, anilox roller and ink cavity. The web width, line speed, and cylinder diameters are all options. Variations are available upon request. Touch screen controls include a print register, dryer settings, job memory production charts, and service screen. Stainless steel is used for most hardware, bearing bushings and adjusters. Sleeved plate cylinder. Customer specifies sleeve system and undercut. Optional plate to anilox and plate to impression servo adjustment are touch screen controlled with simple press-to-move buttons or direct entry of the distance to move. Safety covers are aluminum with clear panels. A dedicated safety computer monitors all covers and guards. The framework is based on 50mm thick ground steel plate with both plate steel and extruded structural cross members. 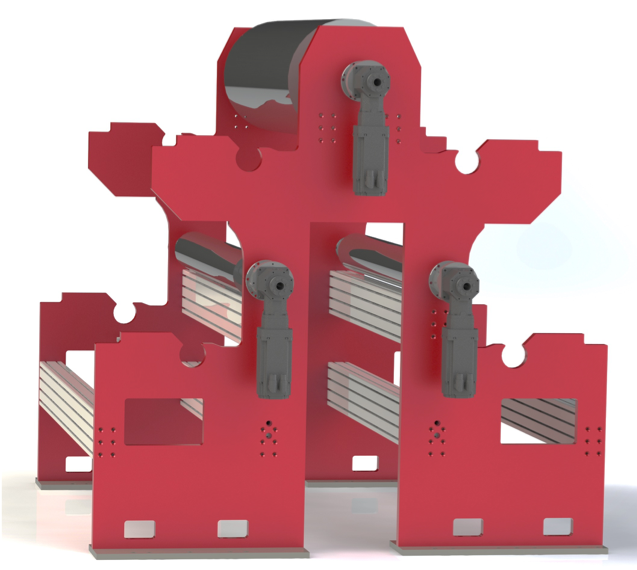 The steel cross-members are used to join the plates and define the overall structure while the aluminum cross-members effectively resist and dampen vibrations providing a very smooth and quiet printing press. 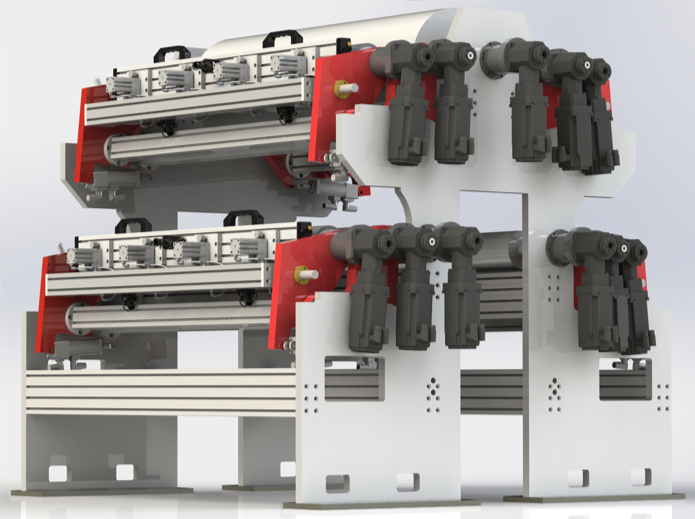 This common frame design is used for both the GM and CM series of presses in 1,2 & 4 colors. An additional 2 station stack is available with connecting walkways for 2 – 10 color equipment. Four frame plate designs provide a broad array of optional configurations including mixing the CM & GM stations. We also produce a Legacy Flex-R Print Station.